The Ignis is a compact car with a difference. Stunning looks, distinctive stance and coveted specs, the Ignis is made to stand out unlike the others. Whether it’s an element of fun, a touch of panache or a hint of the whimsical, you can add your own stylish touch to your Ignis, style it your way, and drive a car that’s unlike any on the road. Step inside an Ignis and see how every bit, from the floating dashboard style, to the dual tone black and ivory console, is designed to stand out. Ignis simplifies your drive and ends the need to pick automatic or manual with its intelligent technology of Auto Gear Shift (AGS), in both petrol and diesel. Available in both petrol and diesel variants, for a superior performance. Today’s youth is spoilt for unique choices and loves to do everything at once. 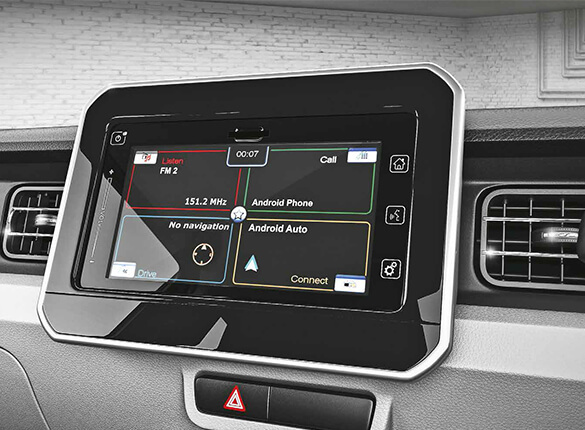 The Smart Play Infotainment System of Ignis is inspired by this lifestyle and offers a seamless Smartphone experience. The different always needs more space. It helps you think freely, move around and just be yourself.This is exactly what Ignis brings to your life. ^If the vehicle’s speed exceeds 80 km/h, then the primary level warning will beep twice every minute. If the speed goes above 120 km/h, the secondary level warning will keep beeping. If the vehicle’s speed slows down to 118 km/h, primary warning will resume. If the vehicle is slowed down to 78km/h, speed alert warning will stop.This buzzer does not indicate any malfunction in the vehicle. Maruti Suzuki IGNIS a compact urban hatchback car from Maruti Suzuki NEXA. It is young and peppy in its drive with ease to manoeuvre and park. 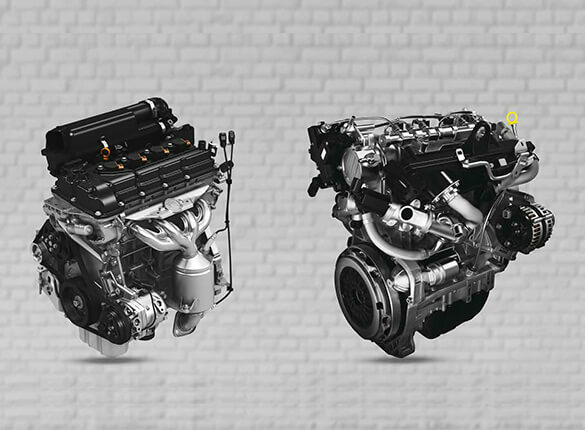 The 1.2L VVT petrol engine ensures a superior performance of 61kw @ 6000rpm and 113nm @4200 rpm. 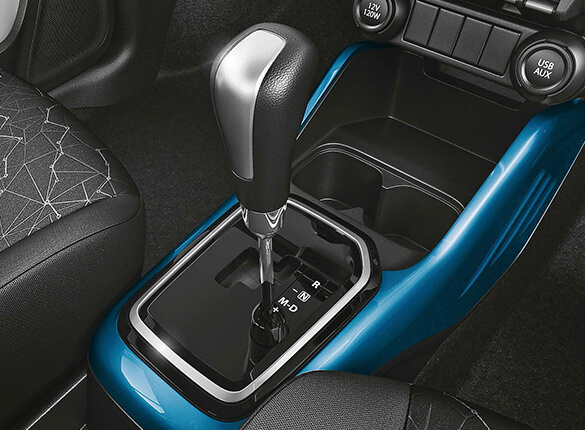 The All-new Ignis is also equipped with advanced Auto Gear Shift Technology (AGS) which lets you switch between automatic and manual transmission mode. With no requirement for a clutch pedal, AGS offers ease and comfort of driving without compromising on fuel economy. AGS technology blends the best of both transmissions, Manual as well as Automatic and provides seamless shifting and smoother driving experience. The Key features and specifications of Maruti Suzuki IGNIS are as given below. Maruti Suzuki IGNIS Petrol variants include – Sigma, Delta, Zeta & Alpha. Ignis AGS is available in Delta, Zeta and Alpha variants. The Maruti Suzuki IGNIS petrol and AGS variants give a fuel efficiency of 20.89 km/lt. Maruti Suzuki IGNIS exterior look is unique and original. No other hatchback on Indian roads currently looks as stylish, young and peppy as IGNIS. The unique proportions, expressive wheel arches with cladding, broad shoulders, mighty wheels, and distinct grille make it look strong and powerful. Its striking features include Front Chrome Grille & chic looking captivating LED Projector Headlamps with DRLs. IGNIS can be personalized with Contours – Exterior Styling Kit, Highlighters & Crowners for Roof Wraps. The dynamic Alloy wheels are available in Zeta and Alpha variants of Ignis. The all-new Ignis come with striking Roof Rails which makes it even more captivating. 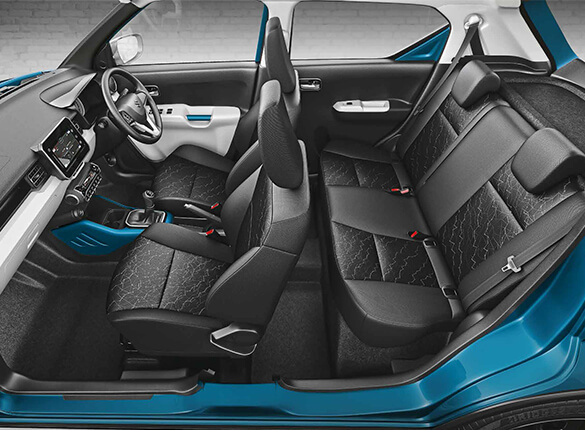 Maruti Suzuki IGNIS has a very unconventional design even from inside. IGNIS has floating dual tone dashboard, toggle switches & carbon fiber patterns giving it an unmatched Cockpit like experience. The cool illumination gives a brilliant view of the speedometer. There is also a handy switch to adjust meter illumination and TFT display. 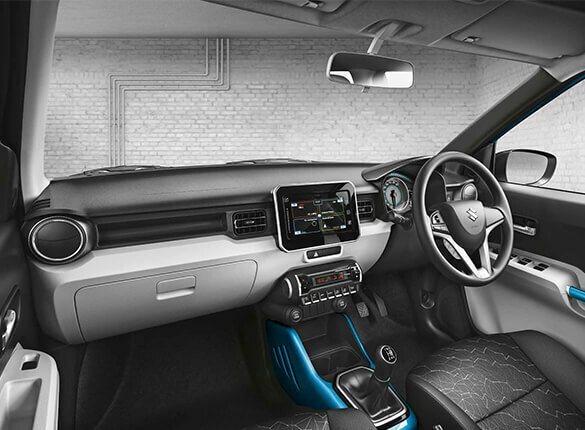 The features increasing convenience in Ignis are Keyless entry with a Push start button, Steering Mounted Audio & Calling Controls, Adjustable Tilt Steering, expansive and versatile Reclining Rear Seat with 60:40 split, Co-driver vanity mirror, spacious dashboard for different needs and slick parcel tray for added space and convenience. The all-new Maruti Suzuki IGNIS has an integrated tab-like SmartPlay Infotainment System with Android Auto, Apple Car Play and MirrorLink that provides easy access to smartphones and ensure seamless entertainment. One can play music, navigate and stay connected while on move with Ignis. S-Connect or Suzuki Connect is an advanced telematics solution. Suzuki Connect helps you connect to your car by providing a wealth of features and information that enhance your on-road experience. From your vehicle’s maintenance to helping you drive better and even save fuel, Suzuki Connect will ensure that you and your Ignis become a part of a better-connected world with features like Vehicle Tracking, Emergency Handling, Driving Behaviour Analysis, and Live vehicle status. The Maruti Suzuki IGNIS is equipped with the Nexa Safety Shield, a collection of advanced Safety features that adheres to the highest safety standards, designed to keep passengers safe in various situations. 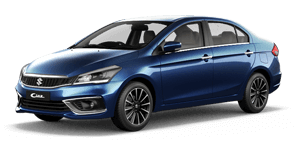 It is based on Suzuki-Tect body, i.e. Suzuki’s Total Effective Control Technology (TECT). This concept results in total absorption and dispersion of crash energy. The extensive use of high tensile steel for major parts makes the body light, strong and safe. Standard Safety features across all variants included in Nexa Safety Shield are Dual Front Airbags, ABS with EBD, Isofix Child Seat Anchorages, Seat Belt Pre-tensioners with force limiters, Pedestrian Protection Compliance & Full frontal impact compliance, frontal offset impact compliance & side impact compliance. Ignis also has Rear Defogger, Reverse Parking Sensors, Anti-theft Security system, Driver & Co-driver Seat belt reminder, Key left a reminder, Speed-sensing auto door locking & High-Speed warning alert. The base variant Ignis ex-showroom Mumbai starts from approx. Rs. 4.67 lakh whereas the Mumbai On-Road price of top variant goes above 8 lakhs. 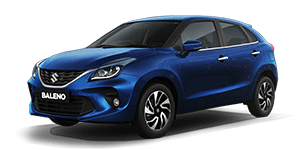 To Book, a Doorstep Test Drive or Buy a Maruti Suzuki Nexa Ignis Car in Mumbai, Thane & Palghar from Shivam Autozone Nexa showroom, call 86002 88888 or click here.